The Chad Valley 104 Piece Play Food Set includes all you essentials for role-play picnics, supper parties or to use with in make believe kitchens. Little ones play and learn by distinguishing the what all the goodies are and their colours. 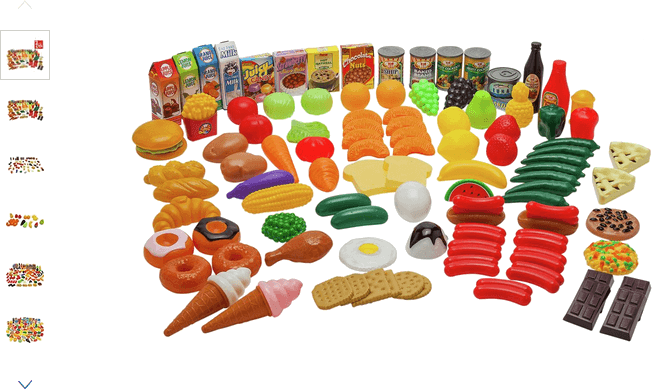 Get money off with April 2019 free Argos voucher codes, see if there's a discount code for the Chad Valley 104 Piece Play Food Set product.